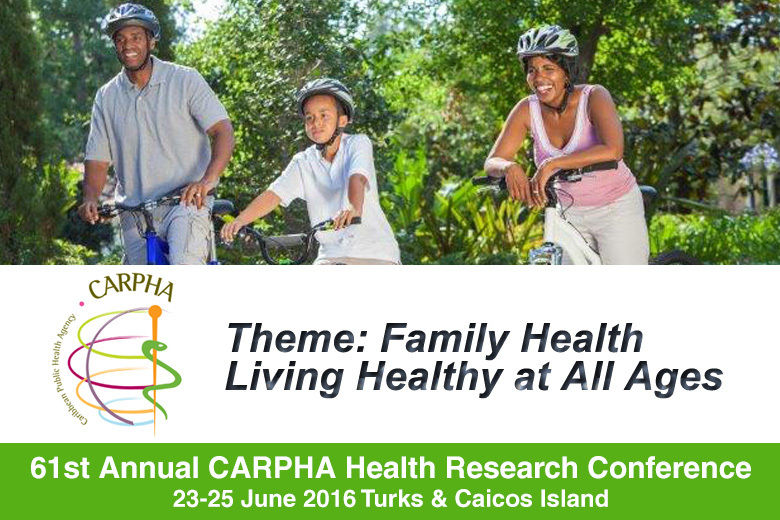 The 61st Annual CARPHA Health Research Conference Theme: Family Health: Living Healthy at All Ages takes place next week on the Turks & Caicos Island. The programme will include presentations on prostate cancer, anaemia in children, depression in youth, diabetes, obesity and smoke free legislation. CMOs meeting will discuss NCDs and the Port of Spain Evaluation. Read more on the conference website here and on the conference Facebook page here or view the Conference Flyer. The online registration form can be accessed via the following link: Register Now.